Jonathan Quick's Olympic mask design is complex and yet, at the same time, simple. Click here for more on the mask. Click here for Kings Olympic coverage. Quick will be one of three goalies representing the United States at this month's Olympics, and when he envisioned what he wanted his specially made mask to look like, Quick decided to honor his country's military personnel, and one person in particular. Matt Mello grew up on the same street as Quick, in Hamden, Conn., and later served in the United States Marine Corps, Quick said. Quick's new mask is busy, and includes illustrations of a Apache helicopter, a fighter jet, an eagle, but it is all tied together by Quick's desire to honor his childhood friend. "He did two tours in Iraq," Quick said of Mello. "He's back home now and he's a police officer in my hometown. He grew up three houses up the street from me. His father was a Marine back in the day, and he's a police officer a couple towns away. Then as a junior in high school, going into senior year, he enlisted in the armed forces and he did four years, and two tours in Iraq. Now he's back home." The back of Quick's mask features a giant eagle logo above the phrase "Support Our Troops." 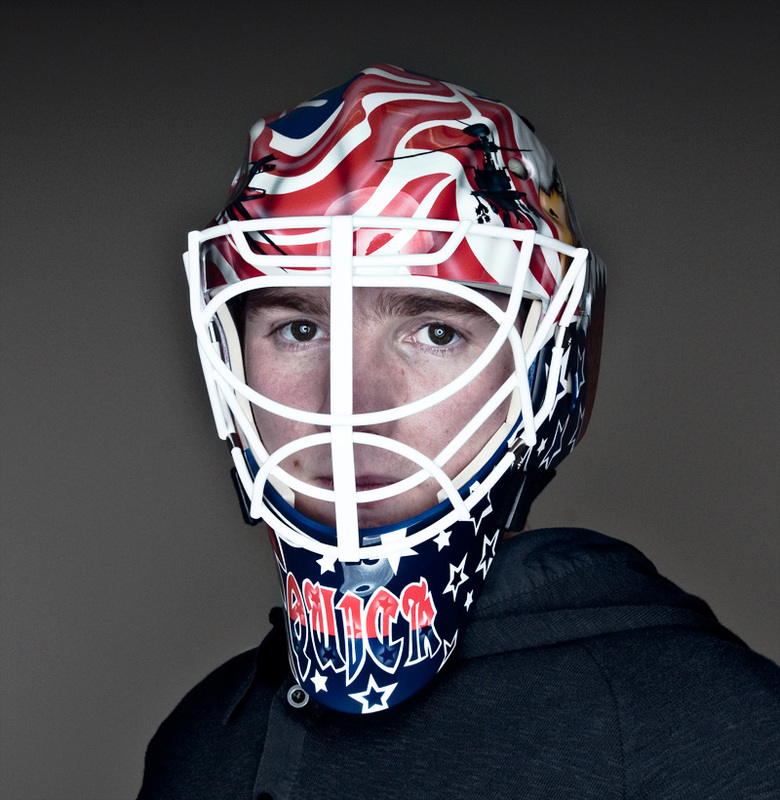 The official USA Hockey logo adorns the top of the mask.